With the enthusiasm of the new year European and world leaders crafted both peace and justice as well as chaos and division. On January 1st, Pope Francis called for “good politics” (World Peace Day). The Pontiff emphasised that peace “is like a delicate flower struggling to blossom on the stony ground of violence.” While politics is essential for building community and institutions, “the thirst for power at any price leads to abuses and injustice.” This week Francis headed to Panama for World Youth Day. As in his new year message that focused on charity and human virtues as necessary for a politics of justice and peace, the Pope is inviting the youth from around the globe to focus on regional concerns, migration, the fight against corruption and violence, and the role of women. Peace is a craft as well as a gift. Our Lord calls us to be peacemakers. Peace is a matter and process of crafting. It requires the constant diligence of those serving humankind and God’s kingdom. Peace is a matter of receiving as well. It is a gift that we often have not merited. Yet, we remain responsible for it. Political leadership is not an end in and of itself. Good politics is always a means towards a greater and common good. Peace is a fragile political reality. Since the new year dawned, Europe and the rest of the world has witnessed political instability, civil uncertainty, chaos and death. Consider the outcomes of the Brexit divorce, look at Congo after the December 2018 elections, examine the French yellow vests movement and outcomes. All are situations of human vulnerability. In this issue of The Leadership Post we tackle some of the crucial concerns, virtues and vices of early weeks of 2019. María Verdugo Martín and Eleonora Vitale focus on Europe for Her and announce a series of articles in coming editions of the Leadership Post on women in leadership. Eleonora Vitale provides a sharp analysis of European bureaucrats and politicians struggling with U.K. politics and the pre-Brexit mess. 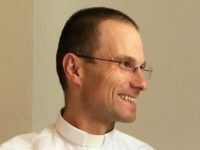 Martin Maier, SJ, the new spiritual adviser of the UNIAPAC reports from the seminar in Rome on “The Future of Work: Labour after Laudato Si’.” Finally, I provide a short video insight on Jesuit coaching and team performance. 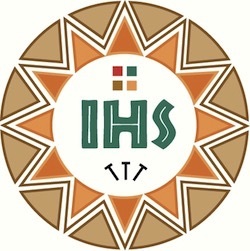 I invite us all to put the Jesuit principles of coaching for leaders into practice through our new European Leadership Programme and other projects of the Society of Jesus, such as the upcoming +Discerning Leadership offered in partnership with Georgetown, ESADE and Le Moyne University. Let us be leaders who don not run away from chaos and vulnerability but learn from them and make lasting peace. Enjoy The Leadership Post. Reflecting on basic principles of Jesuit executive coaching by focusing in this video on the leadership aspect of team performance.